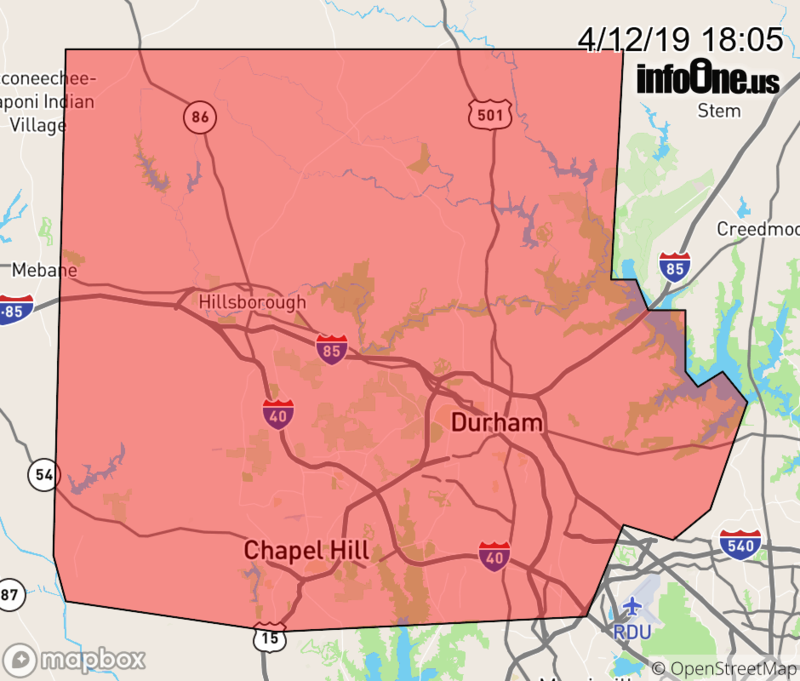 * Until 800 PM EDT * At 556 PM EDT, Doppler radar indicated showers and thunderstorms with very heavy rain extending from Fearrington and Chapel Hill to Durham, moving east at 10 mph. Training of the more intense cores of the thunderstorms to the north along the line will cause urban and small stream flooding in the advisory area. Up to two inches of rain have already fallen. An additional 1 to 2 inches of rain through 700 PM may produce flash flooding. Durham, Chapel Hill, Hillsborough, Carrboro, Rougemont, Carr, Efland, Lake Michie, Eno River State Park and Gorman.